All men are not created equal, and neither are women. You only need to spend the day at the beach to verify that fact. Our forefathers used the expression “All men are created equal”. This was an unfortunate choice of words because there are those in our society who take those words way to literally. The forefathers went on to say that our creator has endowed us with certain unalienable rights, among them are life, liberty, and the pursuit of happiness. But, that does not really mean we are all created equal. Because we are not. We are created with an equal chance to pursue life, liberty, and happiness. We are created with the same opportunity to fail or excel. But then it is up to us. It is not up to the Government to level the playing field and make sure that all are treated equally, even if they are not equal. If some are rich and some are poor, the government should accept that and not try to make the rich poorer and poor richer, just so they can all be equal. Could be that the rich person is rich because he or she has worked harder to get to that point in life. And it could be that the poor person is poor because he or she is lazy and indolent and made no true effort to succeed. It is time for the Federal government to step back and let it be as it will be. The welfare state created 40 some years ago needs to be revisited, reviewed, and revised. We need to extend a helping hand to those who need a helping hand, and quit the give away programs to those who receive it, not because they need help, but because they are too lazy to do it for themselves. Federal entitlement programs need to be terminated, for the most part. The idea of welfare for welfare sake, affirmative action, and all other such programs need serious review and restructuring. I want what I deserve , nothing more. And what I deserve is the right to life, liberty, and the pursuit of happiness. We all need to encourage all people to want that, and only that. We need to encourage them that the right to life does not mean the right to free food. The right to liberty does not mean the right to be free from not doing anything. And those are my thoughts, what are yours. I sort of agree with you. But, there are those that do need the help due to no fault of their own, and I believe a strong society looks after it’s weaker members, or those that are in a bad spot. This does not mean free hand outs. I think that it should be earned in some way or other. Those that are receiving welfare should be spending their time looking for work, but while doing so, they earn their welfare. The countryside is disgusting with litter. There are old homes that could use fixing. Graffiti cleaned up. Rivers and creeks ( cricks ) dredged, whatever. Teach them skills, give them some pride or make them hate being on welfare so much they will do whatever they must to get off of it. Some definitely have it rougher than others and there is nothing wrong with doing what we can to help them, but not at the expense of someone more qualified. After all , it’s not the richer person’s fault that they are rich. We are all born into a situation and need to do with it what we must. Agreed. In a nation as rich as ours, no person should ever have to starve. But all persons need to participate in making and keeping this nation great. Good article. Some typos in the last paragraph. 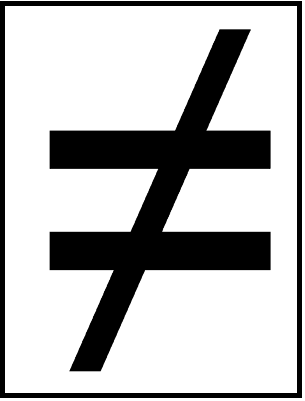 I think one important concept to mention is that everybody should have the right to equality under law. Also, regarding “same opportunity”, yes and no. I never had the same opportunity to play NBA basketball and would never have been given that opportunity because of genetics and skill level. I think it’s important to stress that nobody else has the obligation to provide you with opportunity; they just have the obligation to leave you and others alone so that you and the other can voluntarily come together if you both so choose. You had the same opportunity to try for a position on the NBA team. If you did not have the talent to perrmit you to succed then that goes to my original point that all men are not created equal. I agree with you 100% that we are not created equal. I disagree that I had the same opportunity though with regard to the NBA. I could have practiced every day, written letters requesting a chance to try out, etc. and I would not have been given the opportunity. Not that I think I should have been given the opportunity as nobody in the private sector should be compelled to give someone an opportunity for a job if they choose not to give that opportunity.